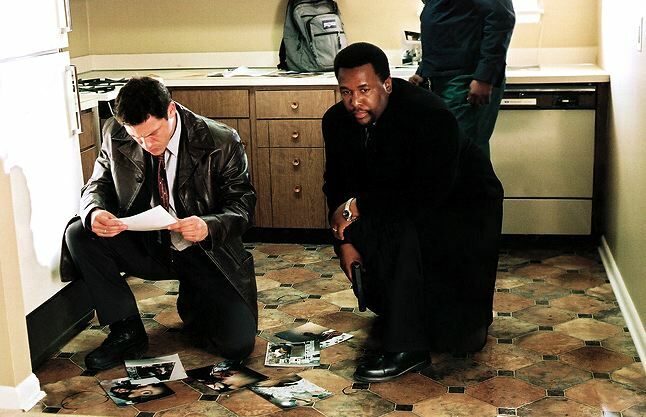 The fifth and final season of The Wire is currently nearing its end on British television and as such has received a decent amount of press coverage over the last month or so. I was always aware of The Wire’s existence and its critical acclaim but like so many TV series that sound like they might interest me, it had managed to pass me by and I had never got round to watching a single episode. As the media hype grew though, so did my expectation. Aware that it would be folly to start watching the fifth season on TV without having seen a single episode previously I arranged for jolly Santa Claus to drop me off the first season on December 25th. Sitting down to watch the first episode I was keen and looking forward to it but also ready for disappointment. It had, just that month, been called ‘the best TV show ever’ by a prominent magazine whose opinion I respect. Could it really live up to the hype? Now having finished it, its easy to see the answer and its pretty easy to see why. Unlike any other TV series I’ve ever watched you really care about the characters and what happens to them. McNulty is the obvious one because he’s the everyman for all ages on a mission. He is the new Fox Mulder. But even bit part players have fleshed out back stories and generate interest and emotion that a regular TV show just doesn’t. McNulty’s boss Rawls is generally spiteful and hateful but in a key episode near the end of Season 1 he shows his leadership and honour and his interactions with Sergeant Landsman show a genuine humour and self-awareness. Half-way through where one detective assigned to McNulty’s case chooses McNulty over Rawls it really did make me sit up and punch the air. It’s not too dissimilar on the other side of the line too. From the start you are in ‘the game’ with hoodlum D’Angelo Barksdale and you can’t help feel moments of genuine sympathy for him as he tries to protect his young mob from the pressures of his gang boss Uncle and second in command Stringer Bell. Bell meanwhile is obviously smart and waiting in the wings for his chance and you can’t help but admit a grudging respect for him and his carefully planned operations. The answer to the question then is of course yes. David Simon has created one of the most engrossing series around with a cast of extraordinary yet ordinary characters who create a series of unforgettable moments. I haven’t even mentioned Bunk and his run in with his own clothes! As Season 1 exits my disc drive and Season 2 enters I’m no longer feeling nervous about expectations. I don’t care if the storyline to this doesn’t match the original. I just want to find out what the next stage is in a series of people’s lives, all of whom I feel like I know. Now that’s great television!